Bernard Meninsky. (1891-1950). 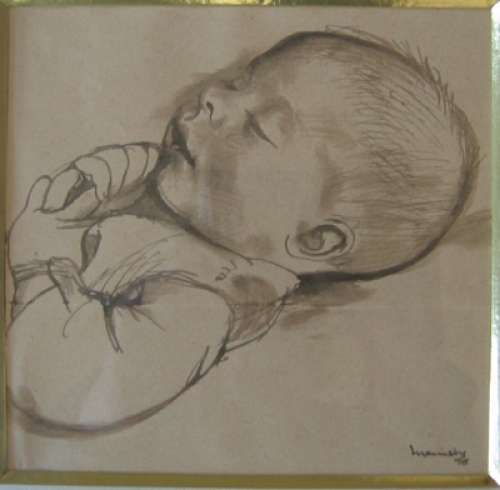 'Study of the Artist's son sleeping'. Pencil. Coll: Muirhead Bone. Signed and Dated. 8" by 12". £2500.